OLD PARKED CARS. 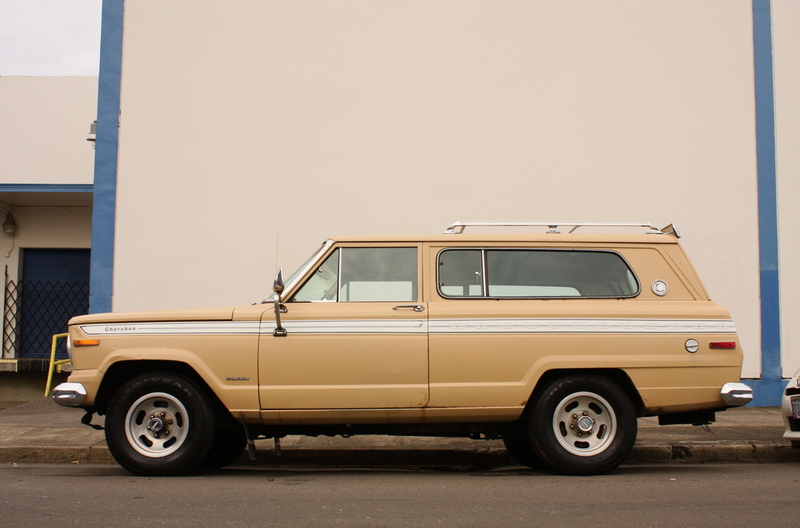 : 1976 Jeep Cherokee "S"
First year of the Cherokee was 1974. Whoops! 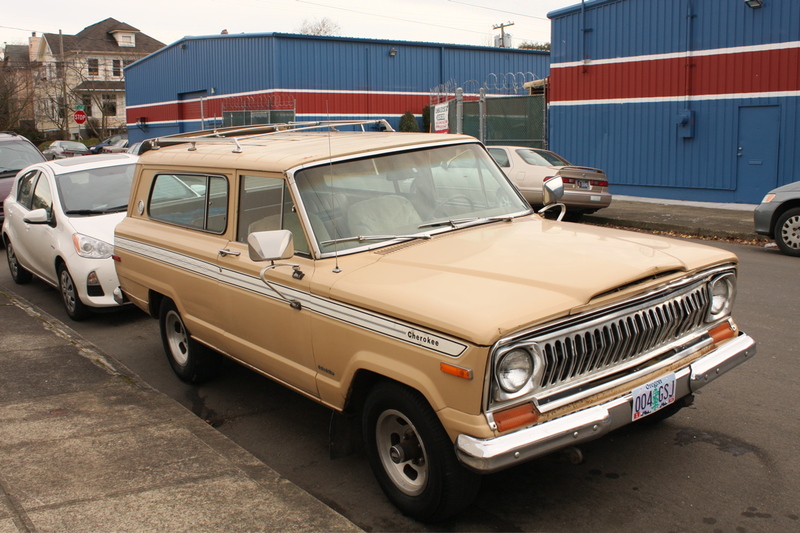 The owner told me it was a '76. Sorry for the typo. 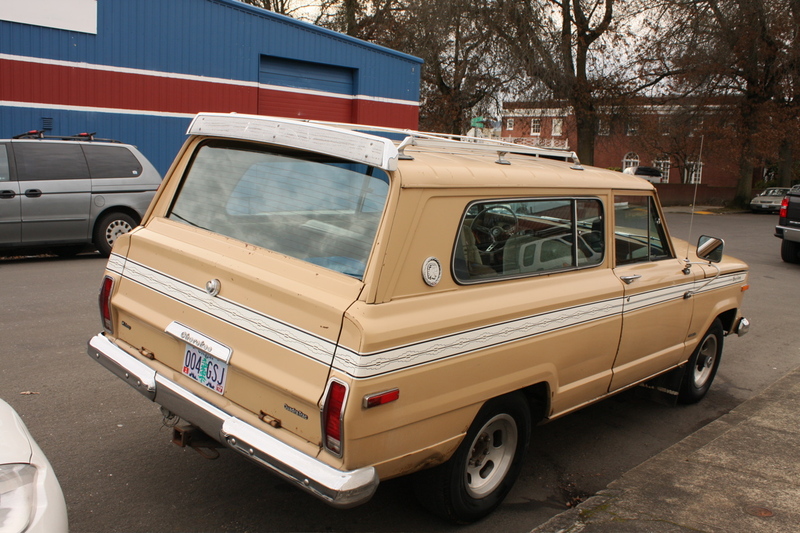 These are supposedly becoming more and more popular, due to their retro coolness. I understand that. @c w swanson, they've been slowly gaining popularity in the last decade from what i've seen. 'S' must stand for simplicity, that's what i see here. 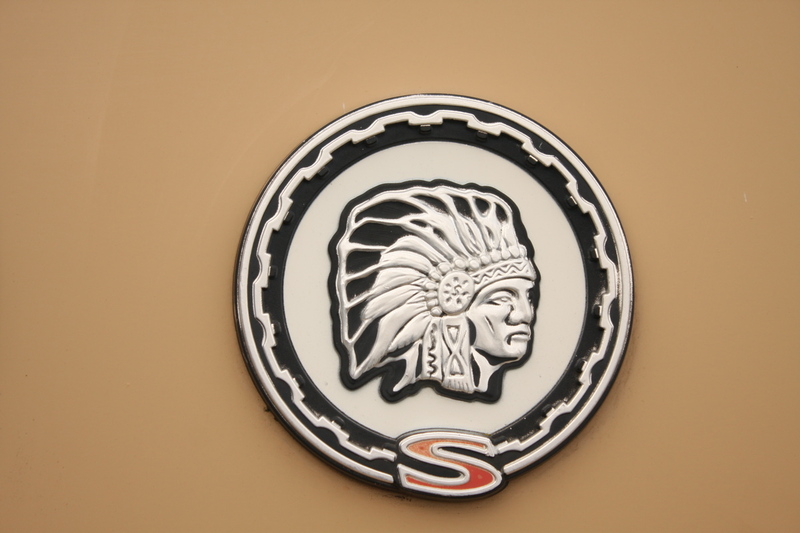 The Cherokee Chief "S" was actually the top-of-the-line trim package for the Cherokee. 1976 looks correct for this, especially if the owner says so. These look absolutely class with slotmags, it's no wonder they were a stock option.